Your HVAC system is a major investment. Not only does the HVAC system keep your family comfortable all year round, but it can be expensive to repair or replace. An inefficient heating and cooling system can also cause your utility bills to soar, which is why it’s important to keep your heating, ventilation, and air conditioning equipment in tip-top shape. It can be difficult and expensive to maintain a HVAC system on your own, so look into a maintenance plan with your local Murfreesboro HVAC company . Here’s a look at the benefits of an HVAC maintenance plan with a professional heating and cooling company. Semi-annual inspections and professional cleanings ensure your HVAC system is running properly. 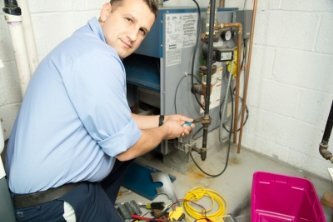 Regular maintenance and service can also extend the life of your heating and cooling equipment by reducing system strain and fixing minor problems before they cause major damage. Studies show that with regular tune-ups and maintenance, heating and cooling units will maintain up to 95% of their original efficiency longer than units that are ignored and ill-maintained. By keeping your HVAC system clean and problem-free, you can expect significant energy savings over the life of your heating and cooling equipment. 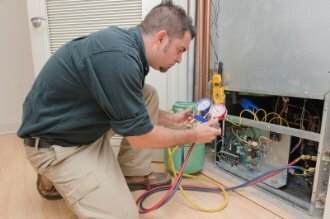 A maintenance plan with an HVAC company in Murfreesboro includes considerable discounts on parts and labor. When major air conditioner or furnace repairs are required, having a maintenance plan can save you hundreds of dollars or more on your repair bill. Another benefit of holding a maintenance plan with a local HVAC company is that you will receive priority service. Should you ever have an emergency with your heating or cooling equipment, you won’t have to wait for days for someone to come out and fix your problem. Most times you’ll receive same-day service any time of the year as long as you have an active maintenance plan. Ductwork plays an important role in heating and cooling your home or business. Dirty air ducts might not seem like a big deal, but they can affect your health, comfort, and the cost of using your furnace and air conditioner. The good news is that you can hire a duct cleaning company in Murfreesboro to keep your ductwork in tip-top shape. Here is a look at the process of air duct cleaning and the benefits of having your ductwork professionally cleaned. If you choose to have your ducts cleaned, there are a few things you should expect from the service provider. For example, the technician should inspect the ductwork before cleaning to be sure that there are no asbestos-containing materials in the heating and cooling system. High-efficiency vacuuming equipment should be used to exhaust particles outside of the home. Care should be taken to protect carpet and household furnishings during cleaning, as well as the duct surfaces and HVAC equipment. The number one benefit of clean air ducts is cleaner indoor air. Dirt, dust, animal dander, pollen, and mold spores are just a few of the allergens and irritants that can blow from your vents every time your heater or air conditioner clicks on. Another benefit of duct cleaning is that your heating and cooling equipment will work more efficiently, which means lower utility bills. A duct cleaning can even prolong the life of your HVAC units, helping you save money on HVAV repair and replacement costs over the long run. While air ducts should be cleaned as part of your annual home maintenance routine, there are a few factors that may indicate a strong need for duct cleaning. If you notice substantial visible mold growth inside surface ducts or on your heating and cooling system, contact your Murfreesboro HVAC company and schedule a duct cleaning. You should also consider a duct cleaning if your air filters are getting clogged with dirt and debris in only a month or two.